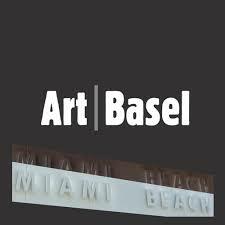 Tens of thousands are visiting Miami Beach this week – for Art Basel Miami Beach, for its 21 concurrent satellite fairs, and for public installations, museum shows, and performances. (And, ok, parties). Art Week’s reputation for billionaires, paparazzi, and selfie sticks aside, there is quality work on view-much of it by Cooper alumni). Daniel Arsham, The Future Was Written, Installation view. The Future Was Written by Daniel Arsham A’03, up at Young Arts, curated by Franklin Sirmans (Arsham launched a new publication, Fictional Archaeology, at the museum this week). A solo installation, Bloodlines, by Firelei Baez A’04 is also up at the Perez Art Museum. In installations by prominent private collections: Wangechi Mutu’s work is part of the Rubell Collection exhibition, No Man’s Land; and work by Alex Katz is in the de la Cruz Collection installation, focused on influence of technology and consumerism in contemporary art. The Bruce High Quality Foundation A’04 will also take up residence at The Standard, hosting a special Miami edition of its reality cooking show-inspired contest “Art Chopped” In a sprites of non-exclusivity, the event will be streamed for those at home. This entry was tagged Miami. Bookmark the permalink.